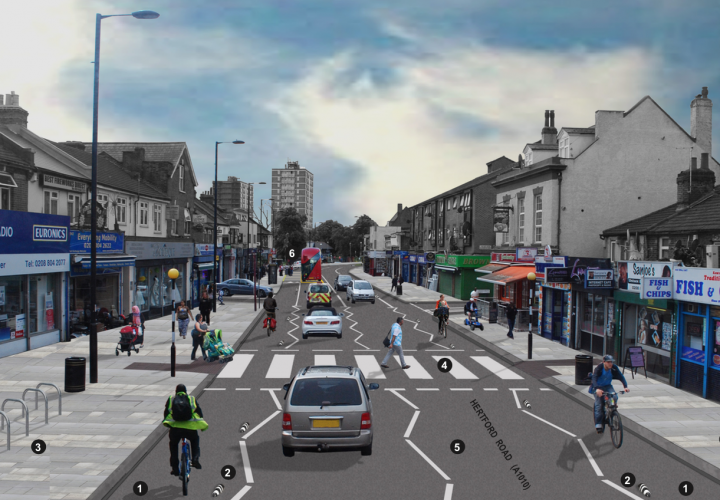 This is a unique opportunity for Enfield to transform the look and feel of this vital local road for the benefit of the whole community, whether they cycle or not. Following consultation we have revised our designs in line with residents’ feedback. Statutory consultation on the designs for the A1010 North is now open. To comment on or place objections on the designs, visit our engagement platform, Let’s Talk Transport. This scheme is not yet under construction. What are the aims of Cycle Enfield?